Service robots are personal robots that work autonomously around humans and exclude manufacturing applications. Traditionally, these robots performed only limited, repetitive functions such as vacuuming, mowing the lawn or cleaning the pool. Other tasks which required robots to move around or interact autonomously with their environment were difficult. Previously, if a walking robot approached a log in its path, it was a tremendous obstacle and the robot would often trip itself up. Even basic tasks like distinguishing a table from a desk were nearly impossible. However, as technology platforms have evolved, the robotics quest, which was once abandoned as science fiction, is becoming a reality. Today's scientists and engineers are realistically approaching a world in which cars drive themselves, robots recognize human emotions, and a machine can care for an elderly person that would otherwise be confined to a nursing home. Consumer robotics is a $1.6 billion industry and is expected to advance rapidly in the upcoming years with innovation as the driving force. Federal and state R&D tax credits are available to shoulder the costs of these novel advancements. The Defense Advanced Research Projects Agency (DARPA) robotics challenge, motivated by disasters such as the Fukushima Daiichi hydrogen explosion and the Deepwater Horizon underwater oil spill, is a competition sponsored by the Department of Defense to promote innovation in robotics technology. 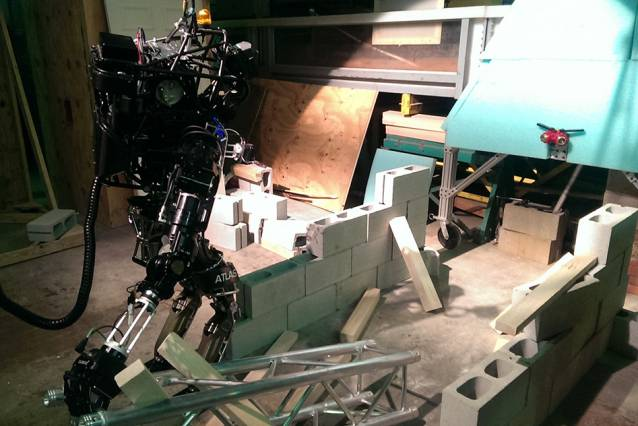 MIT is collaborating with Boston Dynamics in the DRC to create a dexterous, mobile robot that can navigate through disaster zones to aid in rescue efforts with minimal assistance from operator controls. The duo is competing with other academic and industrial teams to build the robot so it can walk over uneven terrain, climb stairs, handle debris, and effectively use hand tools. These various skills are being tested in three challenges: June 2012, Dec 2013, and mid 2015. The MIT collaboration team qualified their robot for the second round by commanding it to climb a ladder, manipulate a hose, and turn valves. The robot does this partially autonomously. Human controllers make large decisions for the robot such as which objects to pick up, while the robot makes less important decisions like how many steps to take. Round two which took place in a natural outdoor environment was a bit more challenging. Team Schaft, representing a Tokyo spinoff company acquired by Google, took first place, Carnegie Mellon Institute placed third, and MIT placed fourth. The tasks which included picking up debris and moving swiftly through cluttered environments served as a reality check for many spectators. Although the humanoids were generally able to complete the tasks, their agility was still rather deliberate and slow; and most significant decisions where still controlled by operators. However, for the next round in mid 2015, MIT intends to further push its robots autonomy; allowing it to make a decision to pick up a hose or open a door on its own and complete more difficult tasks like picking up several objects from a table and dropping them in a bucket -- all in response to a simple "go" command. The robots are also expected to stand upright without a tether and pick themselves up if they fall. This is all part of the quest to create practical, multifunctional robots that can operate in ways that their predecessors could not. The obstacles that once tripped up robots and stunted the robotics industry are slowly being overcome. As technology advances, scientists are increasingly developing ways in which robots can learn on their own. Adept Technology, headquartered in California, has developed a robot that can sense an object which has been dropped in its path, plot a course around it, and communicate the change to other robots in its fleet. The University of Birmingham in the U.K. has developed a way to teach robots how to adjust their grip to handle unfamiliar objects of varying size and texture. Traditionally, a robot needed to be taught a certain grip for each product; and if it encountered a product that it had not previously gripped, it would apply an arbitrary grip, often damaging the product. Technology has now evolved to enable the robot to make a judgment based on a previous grip that worked well for a similar product. This technology is crucial if robots are going to be practical in dynamic settings. Modern robots must be designed to operate in a constantly changing environment. They must use maps, chart paths, and avoid obstacles that have been randomly placed in their path. Intelligent navigation will empower robots to assess their ever changing environments and react quickly. The Roomba has been leading the way with this technology since 2002. The Roomba is a self-operating home vacuum machine that can weave around tables or chairs, as well as stop and turn itself before falling down a flight of stairs. It does this by sending out infrared sensors which it expects to immediately bounce back. It then calculates the distance of the object in front of it based on the length of time it took for the rays to bounce back or in the case of stairs, by where the sensors dropped off. Other sensors allow it to follow walls closely without touching them, moving along and picking up debris as it goes. The vacuum even plugs itself in for a recharge when the battery gets low. Newer models like the Roomba 880 remove 50 percent more debris and contain tangle-free extractors which are virtually maintenance free. This technology, which uses angled rollers to increase suction power by 500 percent, replaced the conventional bristle brushes which have been around for over one hundred years. In addition, if any debris remains the robot has the ability to sense what it didn't pick up the first time using a persistent 'pass cleaning' method which employs a back-and-forth cleaning pattern to apply elbow grease in areas where it senses excessive dirt. In order to hold the extra debris, the bin is 60 percent larger than the previous model. But that's not all. The latest battery technology delivers twice as many cleaning cycles as the previous Roomba battery, doubling the time needed before a recharge. This allows consumers the convenience of having the robot do all the tasks related to vacuuming while they are at school, work or attending other matters. And more people are getting comfortable with this idea as well. Figure 3 below shows iRobot's home robot revenues consistently increasing. The revenue increase demonstrates how home robots are paving the way for a broader range of service bot offerings, many involving tasks that are too dirty, dangerous and difficult for people. 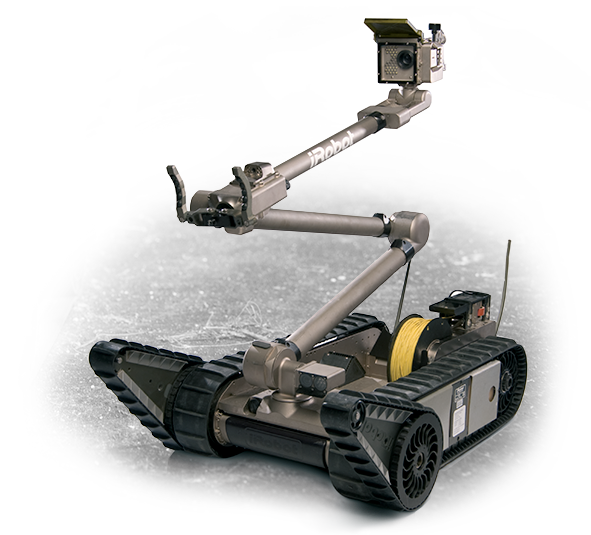 Emergency service organizations use robots to detect, identify, and dispose of dangerous materials and bombs. The iRobot 510 PackBot, which can be carried in a backpack is capable of climbing stairs, navigating narrow passages, handling HazMat materials, and disposing of bombs. Research institutions are now developing smart underwater robots. The global underwater robotics market has been experiencing emergence as a result. Key vendors dominating this marketplace include Atlas Maridan Aps in Horsholm, Denmark, Bluefin Robotics Corp. in Quincy, MA, and Deep Ocean Engineering Inc. in San Jose CA. These industry leaders are creating robots that are particularly useful for underground construction of bridges and pipelines, exploration of natural resources, dredging/excavation, and environmental monitoring. The agricultural robotics market is an $817 million industry which is anticipated to reach $16.3 billion by 2020. With the global population expected to reach nine billion by 2050, many researchers estimate that the efficiency of agricultural production must increase by 25 percent to meet the demand. Self-guided tractors and harvesters are already commercially available to advance the effort. More recently, farmers have begun to experiment with autonomous systems that automate operations such as pruning, thinning, spraying, and weed removal. Distributors are making use of automation as well. In response to work shortages and quick turnover, Harvest Automation in Ballercia, MA has built a robot that moves plants around nurseries and greenhouses to cover the strenuous work that humans would normally do. The user tells Harvey which size pot to look for and the robot detects it using sensors. It then spaces the pots according to the guidelines set by the user. The robot costs about $30,000 but pays for itself after about 18 months, since an equivalent human laborer costs about $20,000/year. Google has been very quiet about what it intends to with its robotics acquisitions but one thing is clear: if Google is interested in it, it's likely to be big. The media has shown much interest by intensively covering the issue, especially the Boston Dynamics acquisition of 2013. With this, Google acquired a line of the most innovative bots in the world including the BigDog, LS3, Cheetah, and Wildcat. The LS3 is a similar military robot that carries up to a 400 pound load. This robot carries enough fuel for a 24 hour mission and can roll itself back upright if it is knocked on its side. The team developing the LS3 includes engineers and scientists from Boston Dynamics and Carnegie Mellon University, one of the world's leading experts in robotics research. The Cheetah, reaching speeds of 29 mph, is the fastest legged robot in the world. It is still largely in the R&D phase as it runs only on the treadmill but scientists are designing a prototype, the WildCat, which will operate at similar speeds outdoors and untethered. These robots are all part of Google's company culture which "encourages experimentation and the free flow of ideas". The emerging industry giant "encourage[s] people to think big and aim for breakthroughs instead of incremental improvements." Google describes this as "moonshot research". The Ava 500 by iRobot is an autonomous robot that self-navigates its way to a desired location in order to film live video chats. This feature allows users to move about the room, participate in discussions, or work from home while the telepresence robot navigates its way to a board meeting or business seminar. When the meeting is over, the robot self-navigates its way back to its charging station. "A better robot lives in our world by moving around its environment more intelligently, by cooperating with the people it serves more compellingly and by physically interacting with its surroundings more effectively" (i-Robot) Engineers believe that robots will become maids, caregivers, and even therapists. However, in order to co-exist with humans they must be able to function in a world where light switches, doors, and levers are designed for humans. Still, people will not buy them unless they feel comfortable around them as well. When someone hands you a sharp object you can read intention in their eyes, face, and body language. The same is not true of a robot. However, if robots have facial expressions people will be able to read what is coming. Designing robots that will nod when instructions are clear or communicate a puzzled look when they aren't will make consumers confident in dealing with them. Scientists want to build robots that have physiological reactions such as sweating when they are nervous or goose-bumps when scared. The human-like tendencies will help put elderly people at ease, as many engineers expect the robots to help meet the surging demand for elderly care. As baby-boomers approach old-age, caring for the elderly will be an enormous undertaking. Most robots designed for this task will supervise elderly, remind them to take their medication, and provide companionship. The robots will use innovative vision systems to collect data about their environment, storing information, and rescanning at a later date, searching for changes in the environment. If the robot recognizes a change it will make a decision using the results. For, instance a robot would be able to call for help if it recognized a fire, or that a person had fallen to the ground. Romeo, a five foot humanoid robot from Aldebaran, the French manufacturer, can open doors, climbs steps, and reminds seniors to call their doctor. At Carnegie Mellon University's Robotics Institute, scientists have developed a series of 'CoBots' which are designed to interact with and rely on humans. The bots deliver the mail, guide visitors to appointments, and fetch coffee. But they cannot operate elevators and are designed to stop and ask humans for assistance. If they get lost they pull up a map of the building on their computer and interrupt a human saying, "I am lost, can you tell me where I am?" This co-dependency is all part of the plan since humans feel at ease interacting with less than perfect robots. The difference between the 'CoBots' and their industrial ancestors is in their design. Factory robots have 'stiff actuators' which are capable of high speed and exact precision. The new humanoid robots have 'compliant actuators' which respond more naturally and have the ability to yield or adjust quickly. The key to this 'soft robotics' is in the elastic between the motor and the joint which allows the robot to apply appropriate force using sensors to strike the right balance between speed, force, and precision. viv Carnegie Mellon has also developed a humanoid named Victor, who plays scrabble and sports a human-like appearance on his flat screen face. While he is winning, he boasts and brags but when losing he throws insults. Designers purposefully created him with limitations in order to make him seem more human-like. His personality is insecure and he plays with only a limited range of words pulled from the adventure of Sherlock Holmes book. At the Quality of Life Technology Center, Carnegie Mellon is teaming up with the University of Pittsburgh to bring together a cross-disciplinary team of technologists, clinicians, industry partners, end users and other stakeholders to create revolutionary technologies that will improve the quality of life for all people. The vision is to develop intelligent systems that enhance the body and mind. The goal is to create robots that monitor and communicate with people to understand their needs and react the way humans do. QoLT Research emphasizes human-system interaction with attention to social, clinical and policy factors for consumer deployment and user adoption. Researchers at MIT have a similar vision to develop innovative methods for enabling fluid human-robot collaboration. Their vision is to harness relative strengths of humans and robots to accomplish what neither can do alone. Some specific projects at the University include teaching robots how to understand humans' needs and how to fulfill them by interactively learning from them by picking up on cues from humans which communicate approval or disapproval to the robot. This research on interactive learning focuses on algorithms that translate the approval and disapproval in various settings to an appropriate response from the robot. Scientists want to create robots that are 3d printable as well. MIT researchers are working on robots that can be designed using 3D printers and then baked into working robots. The consumer would decide that they want a robot that will 'play with my cat' or 'clean the floor' and "from this high-level specification, you actually generate a working device. ", says Daniela Rus professor of Electrical Engineering and Computer Science at MIT. While their work is still in the preliminary stage, it is built on previous research conducted by Rus and her MIT colleagues that researchers expect will make these long-shot ideas into practical reality. In 2010, Google introduced the term "cloud robotics" to describe a way of using the internet to enhance robot capabilities by allowing collaboration among robots, smart objects, and even humans. This helps robots by allowing them to access a wealth of additional resources and information developed by computers, other robots, and humans. Google is already using this technology to communicate changes in the environment between its fleet of self-driving cars which have already logged over 700,000 miles without an accident. As consumers become more comfortable interacting with robots the industry will continue to emerge. Innovation through R&D will continue to drive the effort. Designers will further develop products such as the roomba, the Harvey robot, and the Ava 500. As they continue their efforts they should be aware of State and Federal R&D tax credits which are available to help shoulder the costs of innovation.